This sixty page illustrated manual shows how to use existing and new coax, UTP, fiber optic links, and AC powerlines to transmit IP communications. Cable preparation and testing is included. 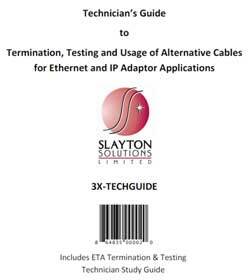 This book also contains the ETA Termination & Testing (TTT) Study Guide. 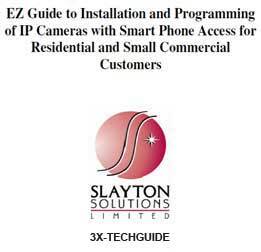 This “EZ Guide” explains how to install and program typical IP cameras so that they can be viewed from over the Internet on PCs and smart devices. This 52 page manual is profusely illustrated and shows technicians exactly what to do when it comes to IP programming, port forwarding, and firewall settings.